Javier Montoliu is an appreciated DJ , radio host and electronica producer from Argentina, very experienced in playing DJ sets in recognized clubs and festivals, in the beautiful capital city “Buenos Aires”.Musically dominated in his youth by mostly rock-/electro pop music, Javier got his electronic inspirations by bands/artist like Depeche mode, the Cure and U2. The artist started to produce his first electronic tunes in 2004, experimenting with the programme “Rebirth” to develop edm track “Marsupial”, which he released public on the internet in 2007.A vast number of public releases are followed up that year. Javier’s artistic online portfolio is founded on popular music sites Lastfm and Reverbnation with tracks made by the artist from the year 2004 till 2007.In the meantime he steadily grows a small international fanbase. In 2007, he was particpating at Cafe del Mar selection for the new album and the Red Bull Music Academy submission. In 2012 Javier decides his productions are ready for an official release and he makes his debut on Amadea Records, while managing a full booking schedule playing at clubs and as a residential DJ at Palermo, Buenos Aires’s “Club Brook”. A position currently still active. Besides producing and playing for the crowd, the busy artist also hosts a daily radioshow from 10.00- 13.00h at Deck.fm, a popular Argentine dance radio station broadcasting since 2008. 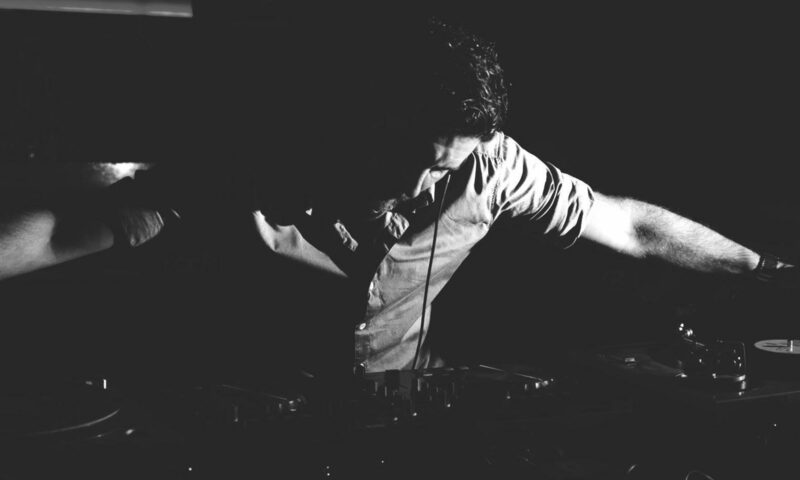 Javier was scouted by Zwartkrijt in 2013 and will be releasing a new electronic adventure in 2014. In 2016 he was scouted by Prison Entertainment Records (London) realeasing a new album called “Nowhere” with (7) seven tracks containing Nu Disco, Deep House and Electronic styles. He was play at recognized clubs like Bahrein, Acqua Lounge Club, Unicorn Huset, MUTE, SABBIA, Brook, Rosko, Truth, Deja Vu, Coyote, El Eterno, Boxer, Adrogue Chico, Area, Madame X, Seven, Sur A, Club Sky, Kilt, Club 54, Bikini, Deep Club, Who, Wet Club. Also he has participated at LoveParade @ Buenos Aires 2001-2002 , SouthBeat @ Buenos Aires 2005 , Heineken Thirst @ Buenos Aires 2005, Essential Fest #1 @ Lago Escondido 2006, Essential Fest # 2 @ Canning Design (2006), Fiestas “E” (Part 3) @ Buenos Aires (2007), SuperPop ’07 @ Bahrein. In his career, he was on stage with artists like Elio Riso, Luis Nieva, Miguel Silver, Feedback, Emiliano Kasem, Festa Bross, Lemonade, Jose Luis Gabin, Toomy Disco, Manu Desrets, Aldo Haydar, Facu Lacognata, Chris Schweizer, Felix Galeano, Marcos Paz, JP Sgalia, Juan Pablo Pfirter, Damian DP, Javier Beltran, Lucas Nardi, Tsunami (Afro & Tribal), ADN-Seba Fazon (Tribal), Martin Diaz, Dj Mosca, Big Fabio, Guille Quero and many more.